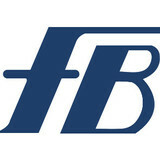 Fick Bros Roofing & Exterior Remodeling Co.
Fick Bros offers a variety of exterior and interior services. All of our services are performed with our own in-house trained and experienced crews, guaranteeing you the same reliable craftsmanship and expertise you have come to expect from the Fick family over the past 98 years. Custom fitted by Manufacturer Certified Installers, Gutter Helmet® installs right over your home's existing, full-sized rain gutters. With Gutter Helmet® you avoid costly damage caused by clogged gutters, ice dams, and other common rain gutter problems. Gutter Helmet® is backed by a Manufacturer Triple Lifetime Performance Warranty that is also transferable. Manufactured using 99% recycled aluminum, Gutter Helmet® is not only a green product, but it is the only gutter guard company that can state it has officially installed over 65 million feet in the U.S., more than six times any competitor. 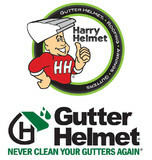 Family owned and operated since 1981, the Gutter Helmet by Harry Helmet® Team has helped over 100,000 homeowners improve the value of their homes with the installation of Gutter Helmet® and other high quality exterior home improvement products including roof replacement, seamless gutters, and Helmet Heat®. Protect yourself and your home today by contacting us for a FREE in-home estimate (888) 543-5638 or visit us online www.HarryHelmet.com. DryHome Roofing & Siding was recently honored as Residential Roofing Contractor of the Year by Roofing Contractor Magazine. The prestigious title is bestowed once a year on the contractor that embodies specific characteristics such as superior customer service, community involvement, and a rewarding work atmosphere. DryHome Roofing & Siding, Inc. is fully licensed, bonded and insured. We have been in business since 1988 and are proud of our achievements and level of success. We know that the only measure of our success is the satisfaction of our customers. We are committed and determined to provide our customers with quality work while promoting an honest and reliable service. Badger’s services cover the full life-cycle of roofing, siding and window projects. Our Job is Your Satisfaction. Working with us starts with a phone call or email, and we provide a free no-obligation estimate. You'll have the ability to ask questions and compare ideas before the sale. We offer dedicated project managers to oversee every aspect of the installation and cleanup. Service and maintenance calls ensure our customers remain satisfied for the lifetime of their home improvements. We specialize in: • Asphalt Shingle Roofing Systems including: installation of ridge vent to peak of building to allow for air intake and outflow; leak barrier underlayment to prevent ice damming; and fiberglass felt vapor barrier. • Energy Efficient Windows including: vinyl single-hung and double-hung tilt-in windows, casement windows, bay and bow windows. Some windows are eligible for tax credit. • Large Selection of Vinyl and Fiber Cement Siding including: insulation to increase energy efficiency, complete trim coverage for maintenance-free exterior, gutters and downspouts. Why The Badger? The owner of Badger Contracting loves animals of all kind. The Northern Badger is willing to be stung by thousands of bees to get just one lick of honey. 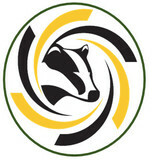 Those badger traits of persistence and fortitude are the very traits that define the work ethic of Badger Contracting – to do whatever it takes to get the job done . . . effectively, timely, professionally, and to your satisfaction, each and every time! Are you are looking to replace, or repair damage caused by a leaking roof? 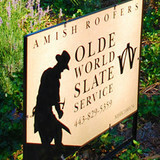 Are you missing shingles from high wind? We invite you to call us for a free no estimate. Our expert inspectors use the latest technology and old school knowledge to assess your roof and present you with multiple options for replacement. We will also work directly with insurance company adjusters on your behalf to make sure you are taken care of. Precision Restorations is always happy to address any questions or concerns regarding the replacement process, no matter what. We invite you to call 301-414-0080 or visit our website at precision-restorations.com for more information and to schedule a no cost-FREE INSPECTION. Rest assured you are in good hands with Precision Restorations. Garner Roofing is a family owned and operated roofing company that proudly serves Baltimore County and Harford County, MD. Our expertise includes roofing, siding and gutters. Integrity Home Pro is committed to adding value to its customers’ homes—through such diverse services as kitchen remodeling, bathroom remodeling, sunrooms, other additions, and beyond. Ultimately, we want to transform your house into the home of your dreams, and to add significant value in the process. Danny Peterson has been involved in the remodeling industry for over 15 years. Earlier in his life, he was a senior merchant for a huge home improvement company. He would do multi-million dollar deals on a handshake, because people knew if Danny said it, they could count on it. Then Danny became a salesman in the home improvement industry, and what he saw made him extremely disheartened. He felt that companies treated customers as dollar signs instead of people, and they would compromise the value of their work in pursuit of profit. Danny promised that when he opened his own company, he would treat every customer with the respect they deserved, and would always go the extra mile to get the job done right. Integrity Home Pro is the result of Danny’s belief in Christian principles and integrity. He has experienced amazing success because of his convictions, and he looks forward to the future growth of his company! Wagner Roofing Company has been preserving and restoring the Washington, DC and surrounding Mid Atlantic area’s most beloved buildings and homes since 1914. With award winning craftsmanship Wagner specializes in slate and copper work with a state of the art sheet metal fabrication facility and warehouse headquartered in Hyattsville, MD. With experience working directly with building owners as well as in partnership with general contractors Wagner excels on projects that range from small specialty residential work to larger, more complex, governmental and institutional projects. The company consists of upwards of 50 full time staff split between specialty trade, field and administrative personnel. With a unique focus on historic preservation and restoration we strive to provide our extensive experience working with local and city historic boards, state historic offices of preservation as well as numerous other preservation-based organizations. To accommodate the intricate craftsmanship required of many of these jobs we continually conduct regular trainings through our in-house workshop to keep our skilled artisans at the top of our trade. In addition to historic preservation and restoration work, Wagner also provides high quality roof maintenance, repair and re-roofing services, including guttering, downspouts and conductor heads. Our employees are skilled in the application of slate, tile, shakes, shingles and copper, as well as built-up, modified bitumen and single ply roofing systems. Beginning in 1977, Mike Christopolis partnered with Howard County builders and home owners developing relationships that remain strong today. Named for the burgeoning town and surrounding areas, Columbia Roofing, was incorporated in 1981. Conveniently located throughout Maryland, CRI serves the Maryland area quickly and efficiently. Our easy access to major transportation routes make it possible for us to serve the entire Maryland corridor. CRI is licensed and bonded in and Maryland and holds certification from most major roofing manufacturers. Our best feature is our experienced, well-trained and dedicated staff of professionals. We know our industry. Our knowledgeable sales, service, and installation professionals are dedicated to working with our clients to plan, schedule, budget, and complete every project to their satisfaction. Schaefer Burdett Exterior’s philosophy is simple. To be honest, do what we say we are going to do, and offer our customers the best possible service, quality and value. Northern Virginia Roofing could not be made any easier. Schaefer Burdett Exteriors is an owner operated company meaning that you no longer deal with a salesman haggling for commission. We greatly value your time, so we offer weekday evening appointments to accommodate your busy schedule. Homeowners can meet directly with Josh and Toby to for a free estimate where we actually get on the roof and take pictures, as well as use 4k drone footage to really evaluate what’s going on with the roof. By giving you the footage, you now can see for yourself the damage to your roof, siding, or gutters. Don’t just take our word for it, we will show you the issues. Additionally, anyone requesting an estimate for a roof replacement project will have an EagleView aerial imagery report ordered for their roof to ensure accuracy in price. Our roof installation process starts immediately after your approval where we handle the ordering and delivery of shingles and other materials. Our expert installers work under the supervision of an owner to ensure precision while maintaining customer support and directly channeling the homeowner’s concerns. Enhanced Roofing & Remodeling is Class A licensed and insured company with decades of experience. We pride ourselves on providing reliable, quality workmanship, completed on time and within budget. Enhanced Roofing & Remodeling is capable of substantial and extensive additions, new custom homes, renovations and small remodeling projects. We pride ourselves on handling any and all scope and scale of project whether it is repairing a small roof leak or building your dream home. Enhance your home or business with new roofing, vinyl siding, windows or any of our remodeling services. We at Enhanced specialize in creating superior interiors and exteriors for residential and commercial customers. We also provide emergency service for repairs. What do roofing companies in Carney, MD do? Your Carney, MD roofing contractor can install a new roof or repair an old one, as well as repair and replace gutters. Good roofers in Carney, MD should be able to promptly inspect roofs and gutters to assess damage after a natural disaster or other event, and give you an estimate for the necessary roof repair immediately. Some Carney roofing companies specialize in specific types of roofs, such as tile or metal, so make sure the one you are interested in works with the materials you have or desire. Find a Carney roofer on Houzz. Narrow your search in the Professionals section of the website to roofing companies in Carney, MD. If you’re planning a large-scale project, find other professionals on Houzz who can help get the job done. Here are some related professionals and vendors to complement the work of roofing & gutters: General Contractors, Specialty Contractors, Siding & Exteriors, Door Sales & Installation, Garage Door Sales & Installation.